So, how does the finite speed of light cause these surprising optical impressions? To study this question systematically, we will look at the same scene at increasing velocities that step by step approach the “Tübingen speed of light” of 30 km/h. Fig. 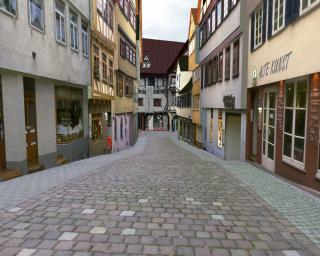 5a) The alley Marktgasse in Tübingen. The snapshot is taken at rest while looking towards the city museum. The camera has an opening ange of 60° in the vertical direction and 75° in the horizontal direction. 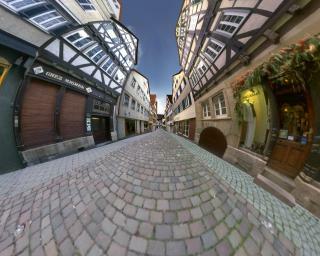 Our starting position is in the alley "Marktgasse" off the market place. The picture in figure 5a shows our view while standing beside the pub "Alte Kunst" and looking in the direction of the city museum that is visible at the end of the road. We then mount the bike and make several round trips through the city centre. On every round we drive past our point of departure in the "Marktgasse", each time with a higher velocity, taking a snapshot whenever we pass the exact spot where the picture of figure 5a was taken. The camera is always looking ahead in the direction of motion. Fig. 5b) 0.8 c, same place as in a), looking in the direction of motion. These snapshots are shown in figures 5b to 5d: The higher our velocity the farther away the city museum appears to be. Whenever we take a snapshot, the pub "Alte Kunst" is just next to us on the right hand side. In the pictures, however, we see it farther and farther in front of us. When driving at 80% of the speed of light, we can see the house next to the pub with its archway. This house was outside our field of view while we were standing still at the same location. Fig. 5c) 0.95 c, same place as in a), looking in the direction of motion. Fig. 5d) 0.99 c, same place as in a), looking in the direction of motion. ... and at 99% of the speed of light yet another house. The "Alte Kunst" is now barely visible in the distance. Also, at increasing velocity we see the houses noticeably distorted. All four snapshots have been taken at the exact same position. Light rays are reaching the camera at this position; they are the same light rays, regardless of whether the camera is moving or not. So, why don't the snapshots all show the same image? The reason for this is the phenomenon of aberration: The direction that an observer ascribes to a light ray (or to any motion) depends on the observer's state of motion. Using a pinhole camera one can easily understand that aberration must occur if light propagates with a finite velocity. Fig. 6 A pinhole camera. Light enters through the pinhole and creates an image on the back plane. 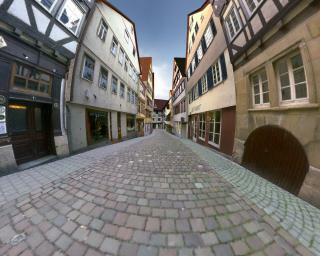 For the sake of the argument we imagine that we take the snapshots in the Marktgasse with a pinhole camera (figure 6). Fig. 7 Image formation in a pinhole camera that moves at 90% of the speed of light. Light rays enter through the pinhole (above) and some time later reach the image plane (below). All along the camera continues to move. The moving pinhole camera is contracted in the direction of motion by the Lorentz factor (where v is the velocity of the camera). For everyday velocities the Lorentz factor is virtually equal to one: At , for example, its value is ( ). At 90% of the speed of light, though, the pinhole camera is contracted to 44% of its rest length. 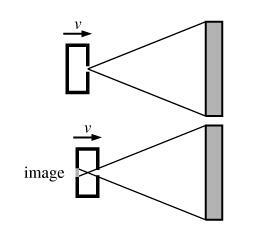 The shorter distance between the pinhole and the image plane means that the image of a given object is smaller. Light needs a certain amount of time to travel from the pinhole to the image plane. During this time, the camera continues to move. 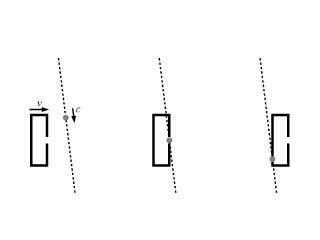 Figure 7 illustrates that the motion of the camera further shortens the distance that light has to travel to the image plane. It therefore further reduces the size of the image. Fig. 5a) and 5c) repeated. Top: Observer at rest, bottom: at 0.95 c.
A smaller image means that the objects appear to be farther away. This explains why the city museum at the end of the street appears to be farther and farther away when the velocity increases. The second item above also explains the apparent distortions. It can be more or less effective, depending on the direction of a light ray. A light ray which is more strongly oblique upon entering the camera needs a longer time to reach the image plane -- the camera motion then has a greater effect and the point of arrival is shifted farther toward the image centre. E. g., the vertical edge of a house appears as a straight line when imaged by a stationary camera. But when the camera is moving, the line is curved: The outer points are superproportionally shifted towards the image centre. Fig. 8 A stationary camera (top) and a moving camera (bottom, here we move along with it) have imaged the same object from the same position. With increasing velocity, the moving camera receives light from the object in a smaller and smaller solid angle. We now switch to the rest frame of the moving camera. Given the arrival point of a light ray, we can infer its angle of incidence (figure 8). We find that a given ray is closer to the optical axis in the rest frame of the moving camera than it would be in the stationary camera. This phenomenon is called aberration. Of course, the relation between the different directions ascribed to the same light ray is inpedendent of the optical instrument. The same effects arise if we, e. g., observe with the naked eye instead of using a pinhole camera. Fig. 9 A pinhole camera moves at 95% of the speed of light. A photon that comes from above and behind can be caught by the pinhole and swept up by the image plane. The faster the camera is, the farther it can look to the back. 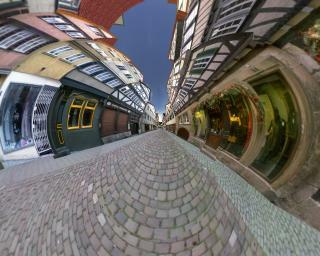 The four snapshots of the Marktgasse have all been taken at the same position, next to the Alte Kunst. When our velocity is high, we can see the adjacent buildings, which are located to the side or even behind us. How does light from these buildings enter the camera that is continually looking to the front? 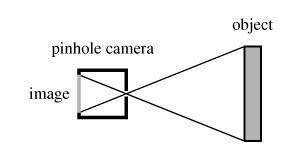 Figure 9 shows that a moving pinhole camera can in fact look backwards. The faster the camera is, the farther it can look to the back. An animation of this drawing can be found on the web (, see below figure 9). At this point, let us come back to our first example for a moment. When the slow biker passes the houses on the market place of Tübingen and looks to the side, she sees the front walls with the gables (figure 2). To the fast biker, when looking sideways, these houses appear distorted and rotated (figure 4); the front walls with the gables are visible and also the side wall of the last house in the row. Why is it that the fast biker can see this side wall and the slow biker cannot? The answer is that we are here comparing two images that show the same houses and to make this possible, the slow and the fast biker must be at different places. At the instant when the fast biker, looking sideways, sees these houses, she has already passed them by. The houses are behind her back and the side wall of the last house in the row is looking her way. All the same, these houses are within her field of view and this, again, is the consequence of aberration.